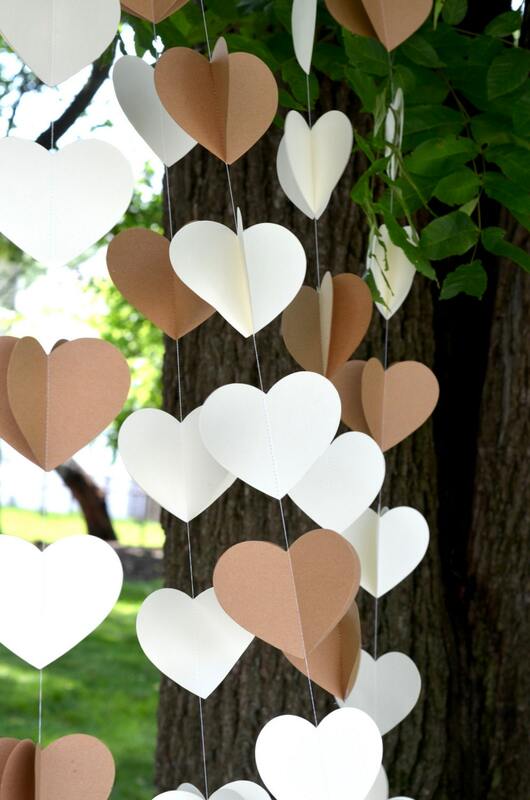 A set of 5 large three dimensional heart garlands, to be hung vertically, either in a group or separately. They look lovely both ways! 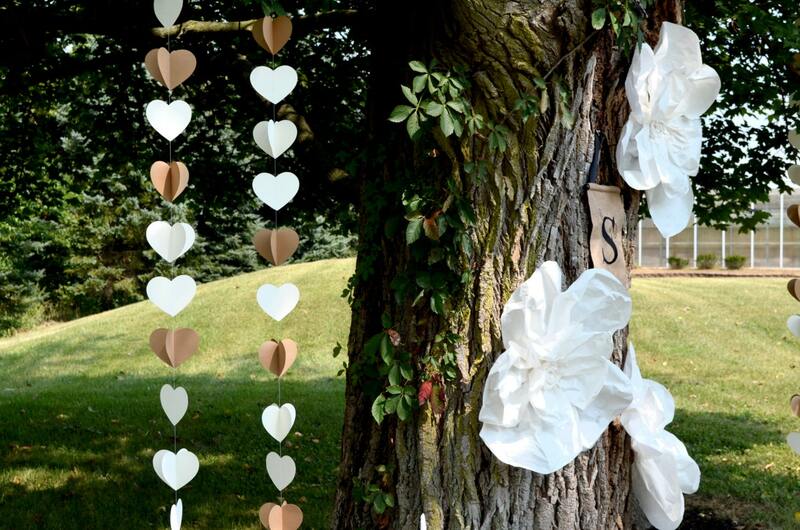 Whether you are looking to add drama to your event or photo backgrounds or to decorate your home simply our hanging heart backdrop garlands are just the thing! 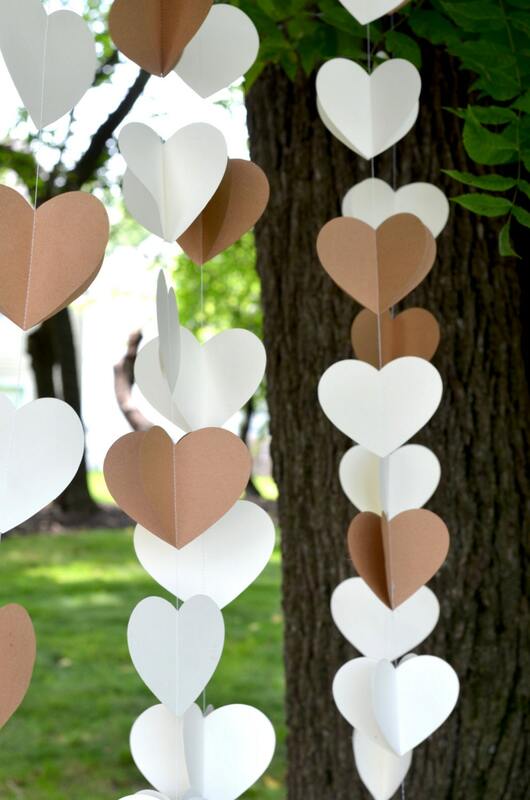 We make these garlands using 4.5" x 4" paper hearts cut from cream and Kraft (light brown) card stock. The garlands are stitched together with coordinating thread and will measure 6' (72") long. For maximum visual impact, we randomly sew some hearts to be 3D (multi layer) and some hearts to be 2D. You will love the result! 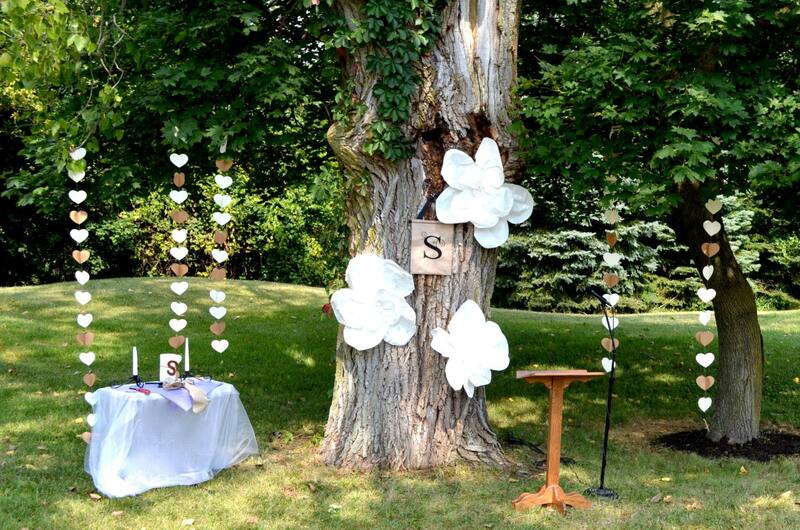 We ship these garlands flat and they a require a moment to "open" the layers upon arrival to achieve the lovely, full three dimensional effect. 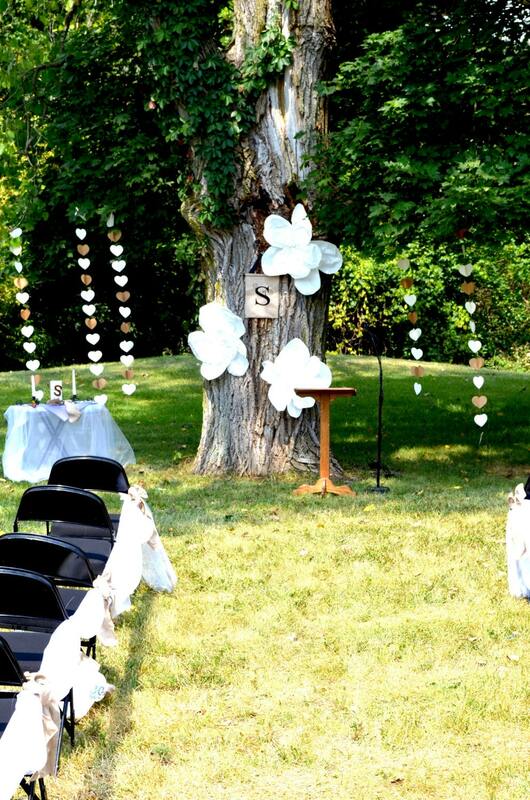 There are loops of hand cut ribbon sewn into the top ends to use for easy and secure hanging.